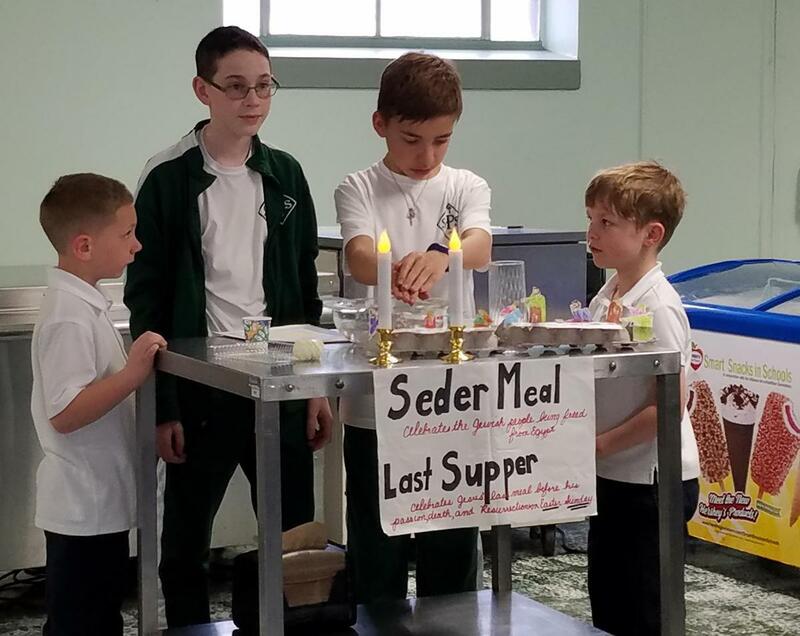 St Philip 1st and 7th grade Prayer Partners shared a Seder Meal to learn more about the events of Holy Week. They ate foods representing foods served at the Passover Meal which remembers the meal ate by the Jewish people on the night before they were freed from Egypt. Jesus ate such a meal at the Last Supper on Holy Thursday.